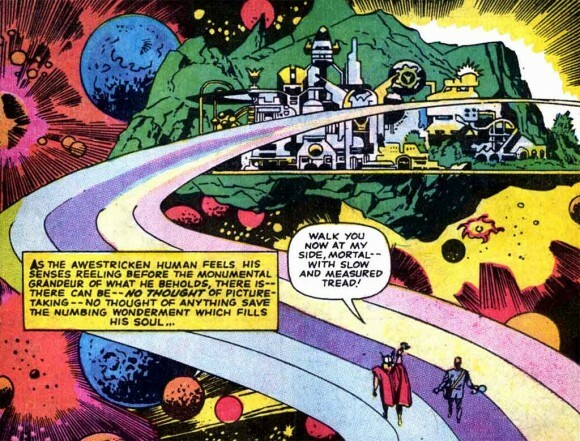 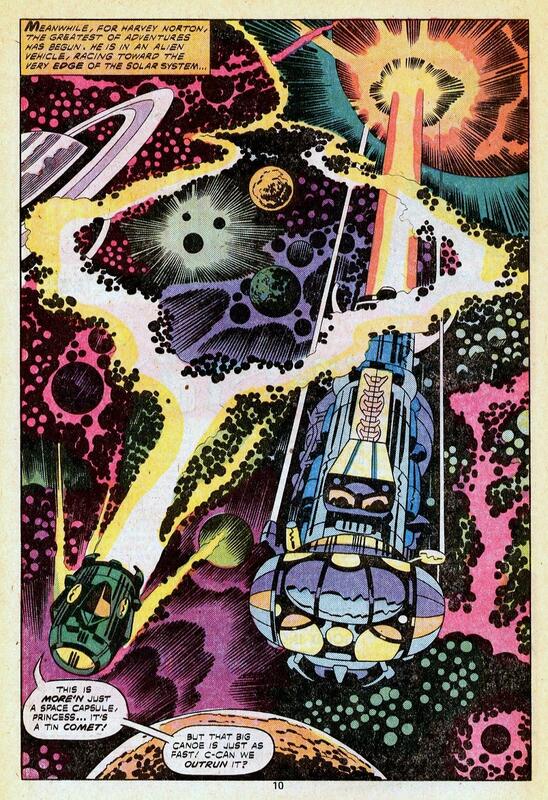 Home » COMICS HISTORY » BEHOLD the Cosmic Kirby! 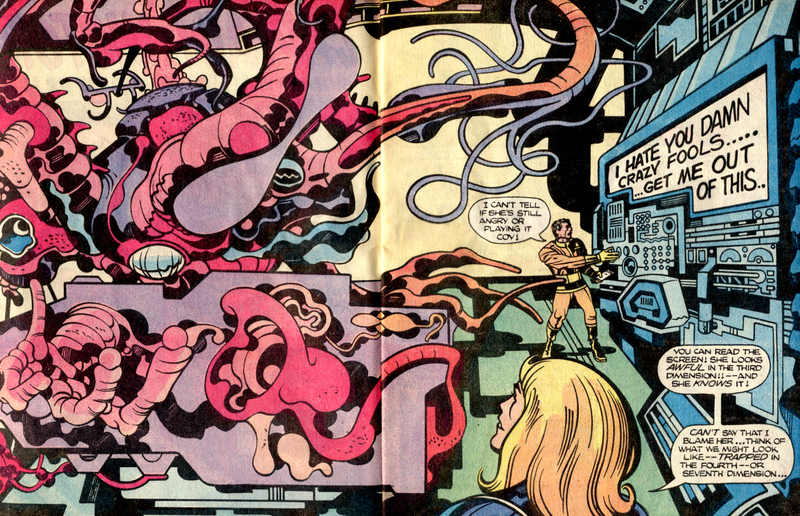 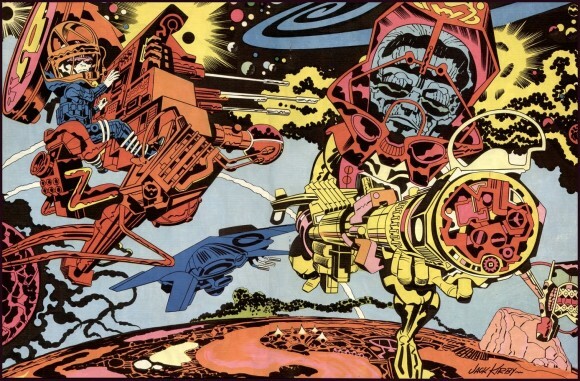 As the 1960s exploded into a revolution of psychedelic color and imagery , Jack Kirby experimented with surrealism and cosmic visions never before seen in comic books. 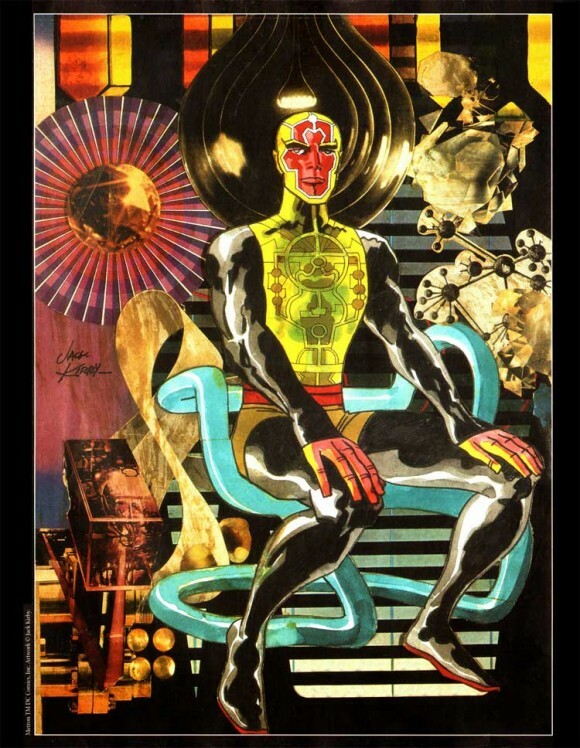 While his art influenced emerging pop and psychedelic artists, they too influenced him. 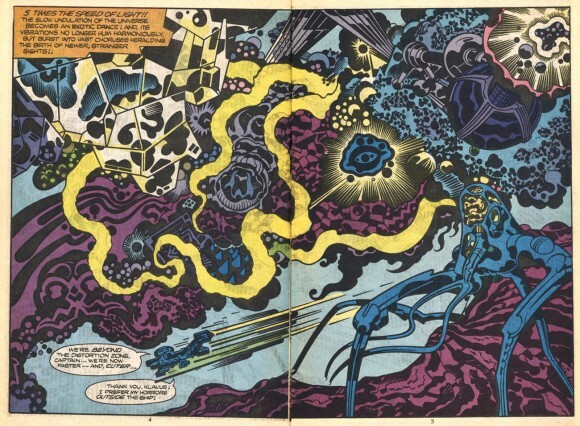 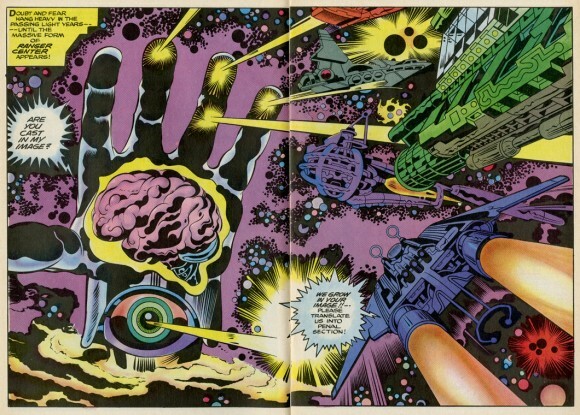 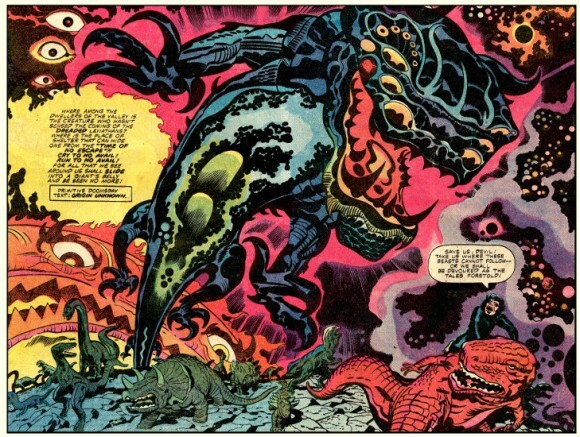 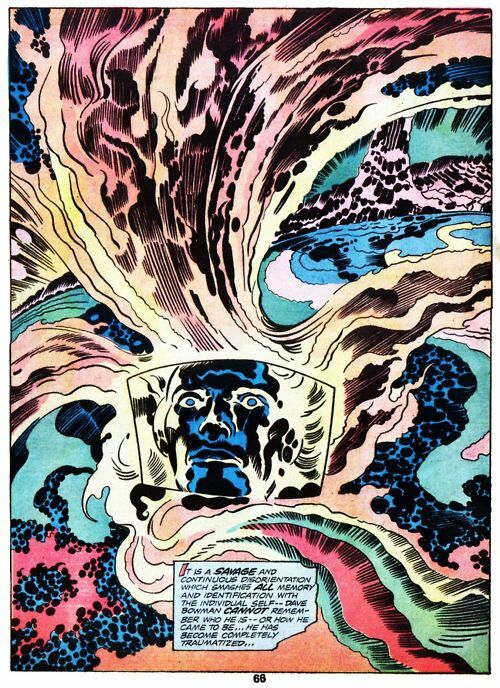 Famous for his dynamic poses and unending stream of characters, Jack Kirby also laid down some incredible cosmic images. It was a theme he’d revisit over three decades for Thor, Fantastic Four, The Eternals, to 2001: A Space Odyssey, The New Gods, Captain Victory, and many others. 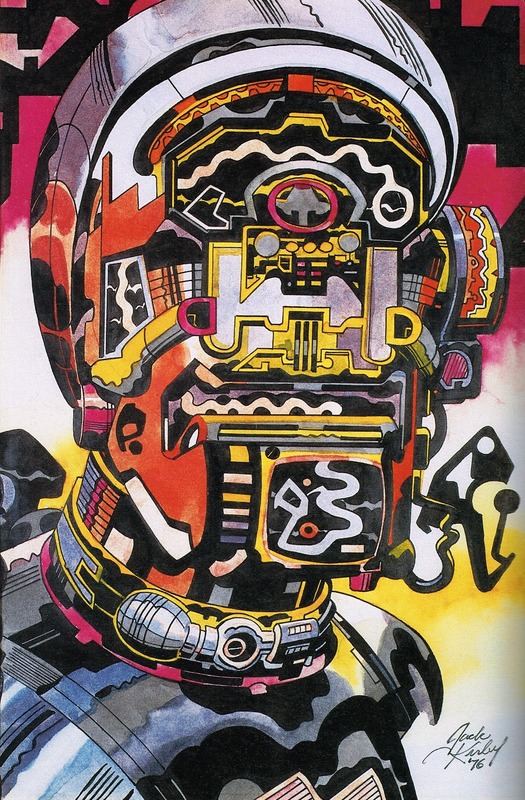 He also delved into painting and created some truly spectacular pieces. 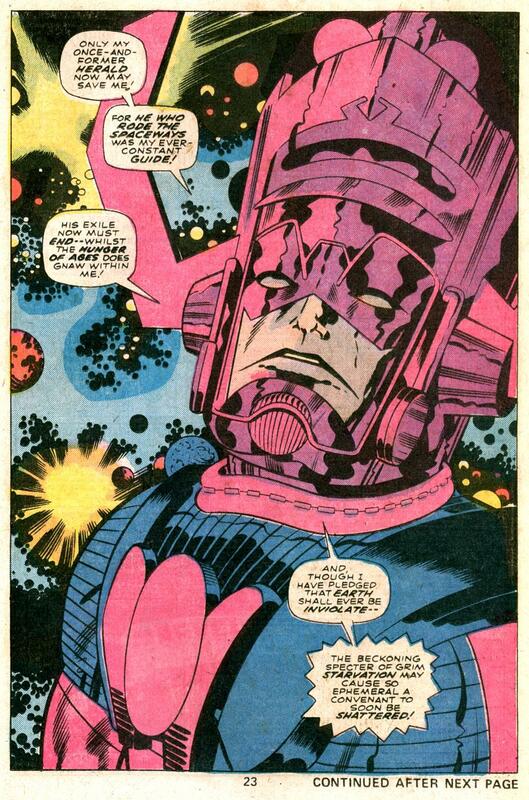 This post would have been perfect with page and issue credits.